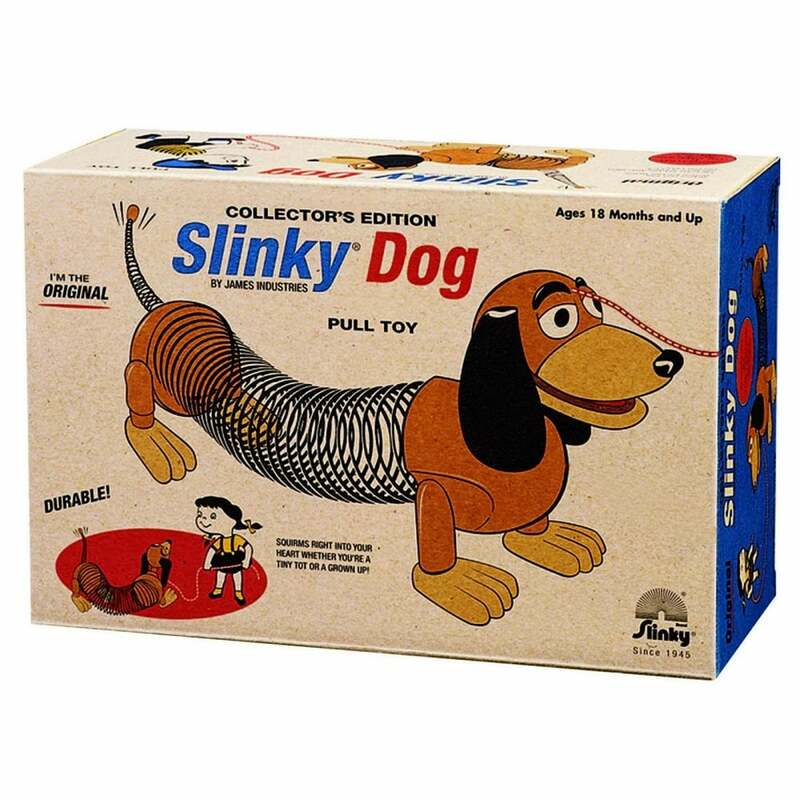 Animated with the famous Slinky spring, he is the unforgettable toy dog wagging his tail right out of the 1950′s! Slinky Dog is a family favourite. A darling toy dachshund with a metal slinky for a mid-section, he’s a breed of clever, intuitive, ingenious design that appeals to all ages. Slinky Dog has classic styling for the collector. The collector’s edition Slinky Dog comes complete with 1950′s retro style packaging. Timeless fun in pull-toy, tail-wagging design great for any toddler. Slinky Dog measures 7".tall head to toe, and his body stretches from 5" to 14" long!